High Peaks Pure Earth has translated a blogpost by Woeser written on January 15, 2012 for the Tibetan service of Radio Free Asia and posted on her blog on March 25, 2012. Actually for this post it’s not strictly accurate to say this is by Woeser as most of the piece re-posts an article by her husband Wang Lixiong titled “Apart from Self-Immolation, What Else Can be Done?”. “From the non-violent point of view, the courage of self-immolators to give their lives and to sacrifice themselves can be regarded as the epitome of a non-violent spirit. But self-immolations are still a kind of violence, a high degree of violence, with the only difference that the violence is directed against oneself. Using violence against oneself, apart from being an attempt of desperate protest and a defence of one’s dignity at the risk of losing everything all at once, if one entertains real expectations, it will also be as Gandhi once said: “Through our pain we can make them see their injustice” or as Martin Luther King said: “We shall match your capacity to inflict suffering by our capacity to endure suffering (…) we will drain your hatred (…) we shall so appeal to your heart and conscience”. The only premise upon which this expectation can be fulfilled is the existence of a conscience. The machinery of an authoritarian regime only has its iron structure, its cold logic, and own bureaucratic interests. When back then, several thousand young people were on the verge of death during hunger-strikes on Tiananmen Square, could anyone see any conscience? The limitations of non-violent protests precisely lay in this circumstance – the end result does not depend on the resistance but on the political regime. 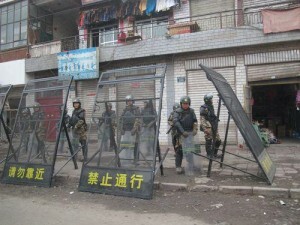 Resistance can only create some pressure, but if the regime does not give in, there will be no progress; this is why the predicament Tibet is currently in is inevitable. How do we get out of this predicament? I think that this is currently the most important question we have to find an answer to. If we don’t have any direction, we will act blindly. No matter how brave and devoted the self-immolaters are in sacrificing their lives, it will make people think that it is mainly an act of desperation. Any act of self-immolation while doubtlessly instigating emotional turmoil, is also always a sign of helplessness and loss. It would certainly be unfair to say that self-immolators are brave but not wise. Wisdom is not just the skill of leading a meaningless life, it is a forward-looking vision, capable of leading Tibet out of its predicament and as such, it is not a responsibility that ordinary people can or should take on. Treating the Dalai Lama, who has already retreated from politics, as the origin of all wisdom is not responsible. The Dalai Lama has decided to follow the principle of non-violence and has taken the middle way, but how this can be put into practice is down to the wisdom of politicians. Today, we cannot yet see this kind of wisdom. The Chinese government is holding money in one hand and a butcher’s knife in the other; as for the Tibetan government – if we we regard the exile government as representative, apart from various declarations, they also do not seem to know what else they can do. Please tell those brave Tibetans what they can do. Once they know what they can and should do, they will be able to survive instead of desperately self-immolating in exchange for a brief appearance in the media. The Dalai Lama’s goal is to realise Tibet’s genuine autonomy. 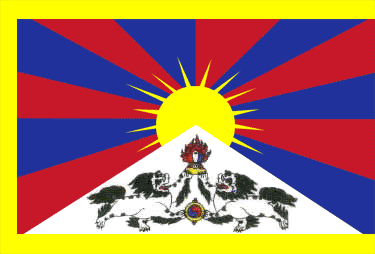 If from the very beginning one asks for regional ethnic autonomy, Tibet will always have to rely on China’s mercy. In this way all past efforts will prove to be mere fantasies. Since the Dalai Lama is asking for autonomy within the legal framework of the Chinese constitution, and since China has been continuously implementing village autonomy, so why can’t the pursuit of genuine Tibetan autonomy start from every Tibetan person’s own village? Genuine autonomy needs to start from the most basic level and then move upwards, layer upon layer, until it finally reaches regional ethnic autonomy. As long as grass-root autonomy is achieved, will it inevitably lead to a future of regional ethnic autonomy. Village autonomy can be implemented only through the participation of every single common villager; this will turn the people into initiators and they will no longer have to passively wait for long and inconclusive negotiations by leaders; if this is not done, they will demonstrate under gunpoint and even go up in flames as self-immolators to give pressure to the “game” played at a high-level. You are so right. How can such a government feel any pain or have a conscience when their sadistic police who see a Tibetan burning himself to death add to the pain by beating him and inflicting even more pain.